Screaming Frog SEO Spyder in Spider Mode may be the best tool you will ever use. 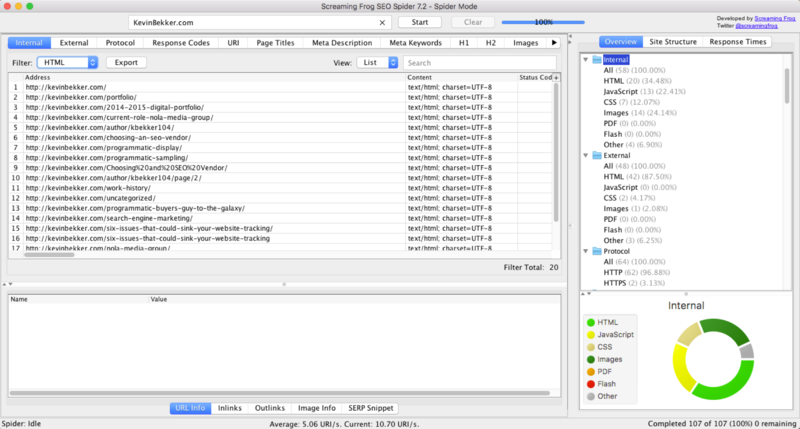 Screaming Frog is the foundation of my daily SEO and UX work. The free version is great, and the paid version is ever more impressive. Screaming Frog is a crawler, and man can it crawl. The tool allows you to crawl as Google, Yahoo, and or Bing, so you get the entire story vs. just most. Screaming Frog reports on all of the response codes on the website. The tool allows you to export reports on 200, 300, 400, and 500 response codes. Want to know which pages are blocked by Robots and coded as nofollow. There’s a report for that. What about SEO page markup? 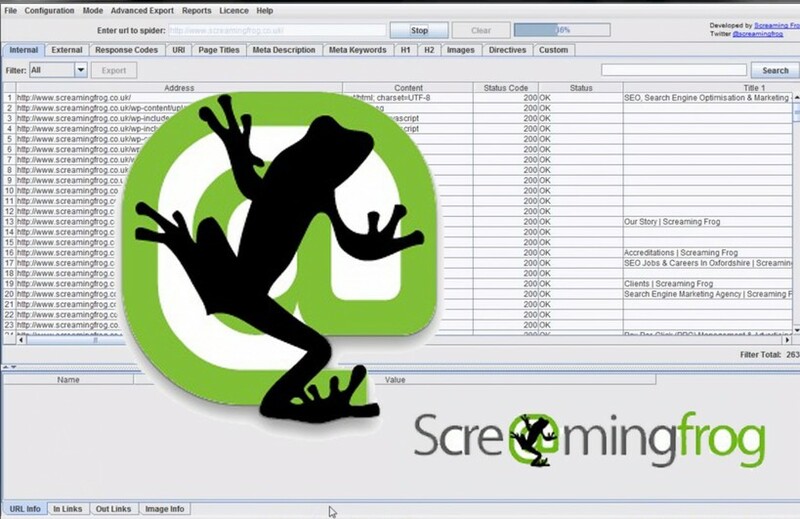 Yep, Screaming Frog SEO Spyder allows you to pull a full excel report on every page, and it’s SEO markup. The report includes character counts, unique vs. duplicate content, and missing meta descriptions, title tags, and alt tags in images. This report perfect base for client SEO collaboration. Hey, what about cannonical, schema, Hreflang, AJAX, and Google analytic tag placement? Yes, there’s a report on that, and you can connect the tool to your search console. I recommend SEO Screaming Frog Spyder with all the gusto I can muster. It will save you time, heartache, and most of all, money. There simply isn t a better tool anywhere for auditing redirects at scale, and while a feature like visualisations might receive all the hype, this is significantly more useful for technical SEOs in the trenches every single day. Please read our updated guide on auditing redirects in a site migration .